from Amazon @ $5.95 ea. The SlimStyle household LED not only uses less energy than traditional light sources, but also comes at an irresistible price. 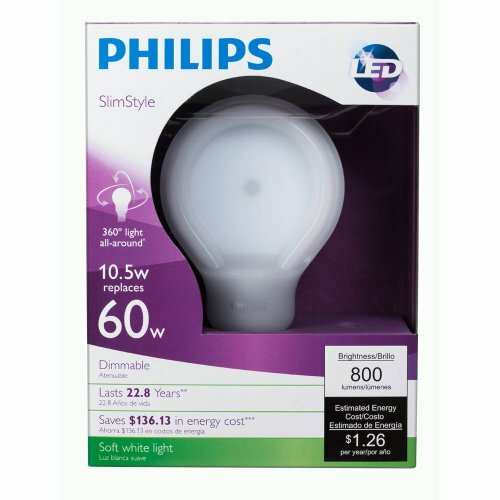 Philips SlimStyle LED light bulbs have a low wattage that uses between 80 and 83 percent less energy than incandescent light bulbs, but with the same light quality. 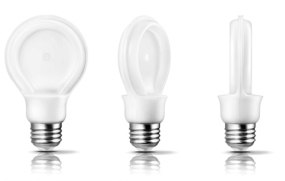 This modern, efficient LED alternative to incandescent will bring you savings for years to come. SlimStyle’s unique and durable shape provides quality light at an affordable price. 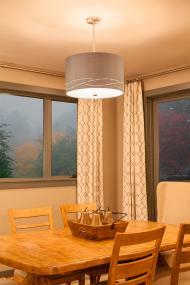 SlimStyle features a sleek and modern design while providing all-around light. It is an easy and efficient switch from standard bulbs and fits into medium base fixtures. Just by turning on the switch, your room is at full brightness with no slow starting or waiting. Use it with most dimmers to create your desired ambiance with a broad range of dimming. 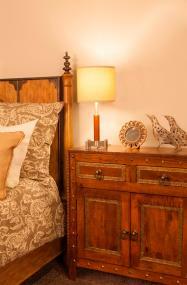 With soft white light, you can create a comfortable, inviting atmosphere within your home. You won’t have to worry about the hassle of frequently replacing your light bulbs with SlimStyle’s long lifetime of 22.8 years – lasting 96% longer than an incandescent. This is based off an average use of 3 hours per day, 7 days per week. Compare its life of 25,000 hours to an incandescent bulb that lasts less than one year, or around 1,000 hours. SlimStyle’s rugged design ensures durability and is safe for the environment and for your home. 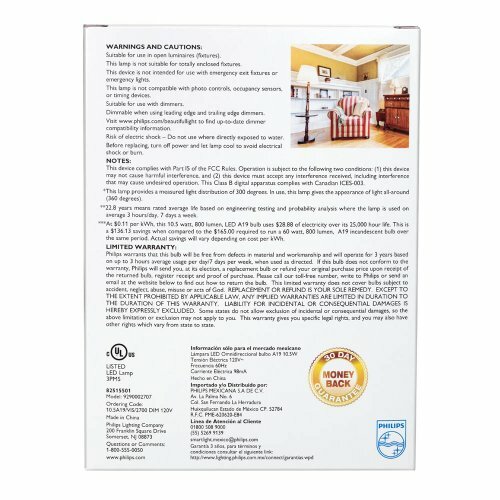 It not only reduces your energy costs, but has a durable design that is mercury-free and safe for your family to use. Since it emits no UV/IR light, it will not harm or fade your fabrics and furnishings. A simple switch can make a difference in your home and the environment. This bulb is not suitable for totally enclosed fixtures and is not compatible with photo controls, occupancy sensors or timing devices. 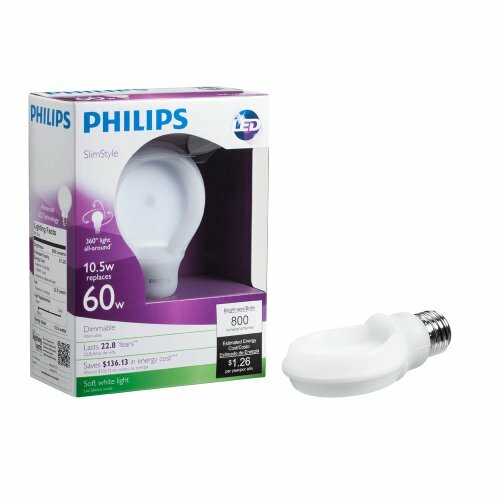 The Philips family of LED light bulbs delivers huge energy savings from the brand you trust. Switching to high efficiency LED lighting can help reduce your electric bill, minimize maintenance costs all while preserving our environment. Philips LED provides increased life when compared to less-efficient incandescent light sources. They improve ambiance, energy-efficiency and comfort in your home while delivering performance you can count on. Philips SlimStyle has a new unique, innovative design. 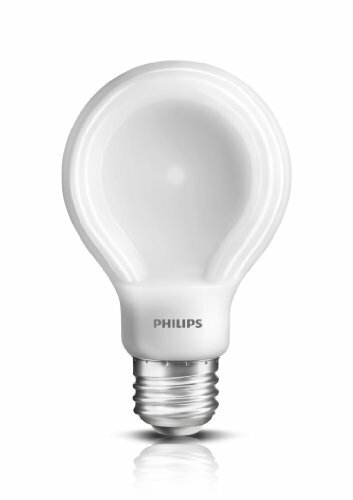 The unique flat shape of the Philips SlimStyle LED allows it to be used anywhere a traditional A19 light bulb is used, without compromising light quality. It can be used in household applications including table and floor lamps, wall sconces, and open pendant fixtures. 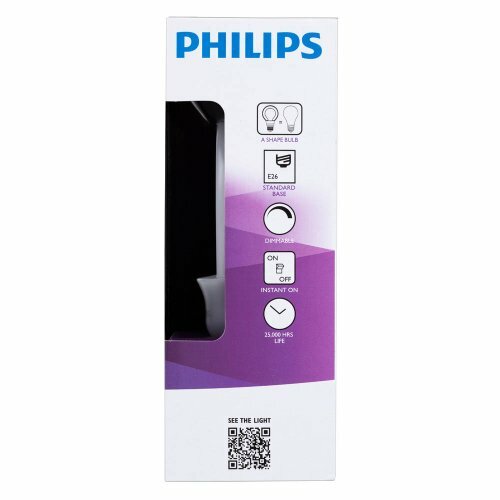 It is dimmable and can be used with most dimmers to create your desired ambiance. 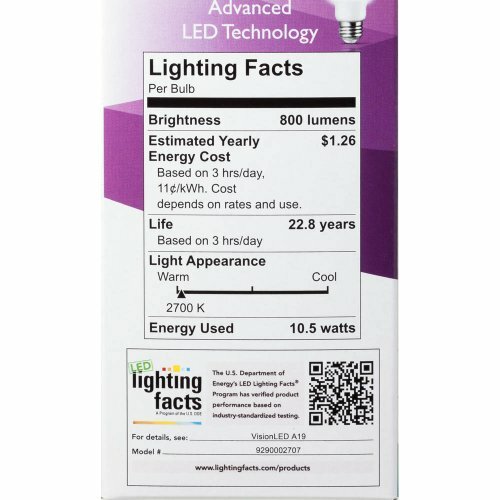 Percentage of total energy saved over this product's lifespan when compared to benchmark product. Total energy saved over this product's lifespan when compared to benchmark product. Total money saved in utility and replacement cost over product lifespan when compared to the benchmark. Estimate of time required for product to pay for itself in energy and replacement costs. Standard Duty 60W Frosted Warm White Tungsten Incandescent. Calculations assume an average cost of $0.11 per kWh and an average of 4 hours per day of use in the product's intended operating conditions.